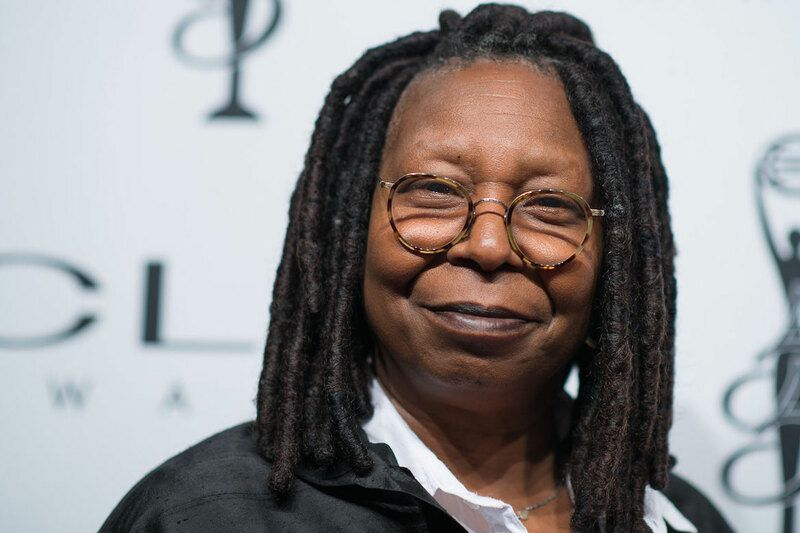 Academy Award winning actor and television hostess Whoopi Goldberg is crazy about Greece and she’s sharing her travels with almost 2 million fans who follow her on Facebook. So far we know that she’s spent a few days on Mykonos where she had dinner at numerous local haunts, including the popular beach bar/restaurant Alemagou at Ftelia Beach. 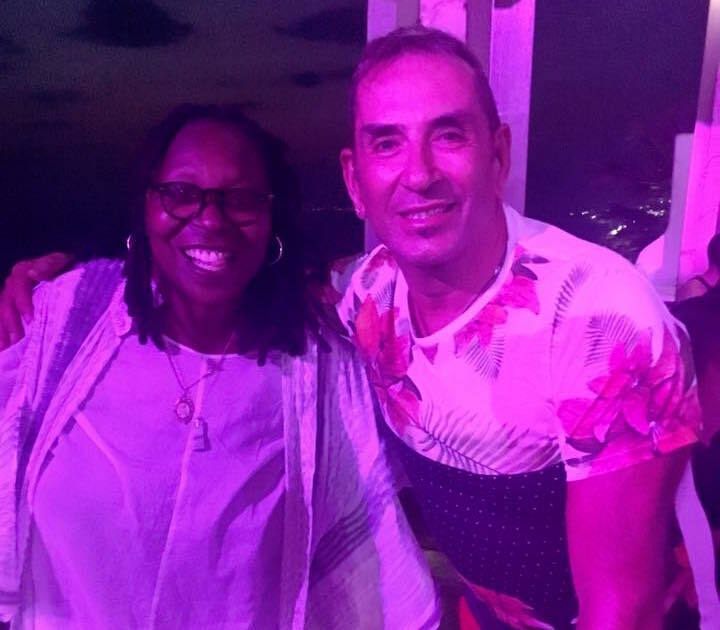 Whoopi Goldberg with Vasilis Chouliaras, proprietor of the world-famous Elysium Hotel where nightly cabaret and drag shows take place on Mykonos. Goldberg also stopped by the world-famous Elysium Hotel where nightly drag shows and extravagant cabaret shows take place with international stars. She also shared a live video en route to her next stop, the “anti-Mykonos” as Antiparos is called, where wealthy Athenians vacation in multi-million-dollar summer homes and chill is more the norm than party. Whoopi. I LOVE Greece, I hope you went to Santorini. 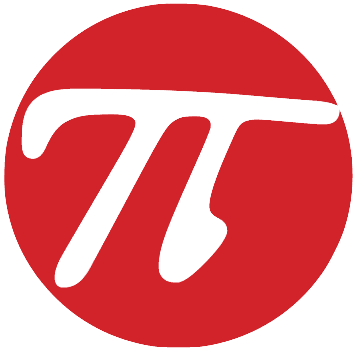 It’s my favorite. However I would never go to Greece in August. Go back again in May or June. lovely. Awesome! Always great when Greece gets such positive exposure like this, especially from celebrities!